Joy is a 10 yr old of Ghanaian and Nigerian background. She has always loved to perform and at age 6 joined her first drama class at her local community centre which fueled her passion to be a performer. 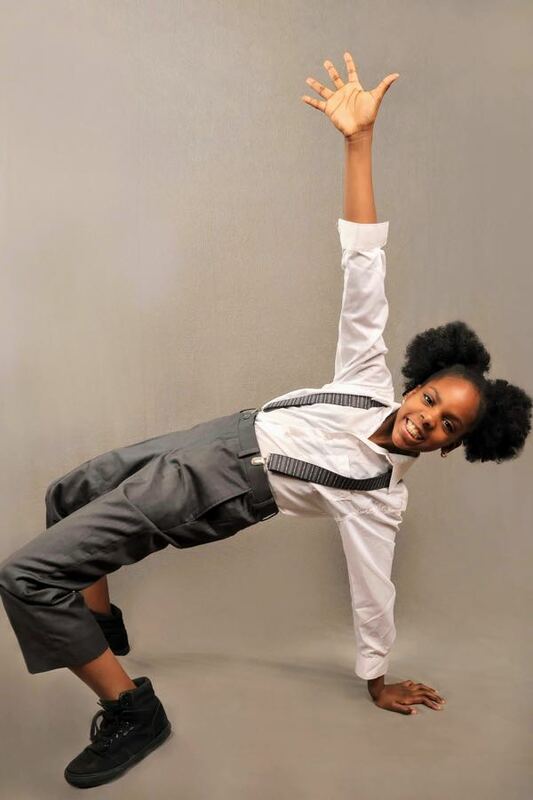 At age 8 after convincing her parents of her goal to be a professional dancer she joined her first dance studio, as a part of their competitive hip hop team. A month later she started her training in Ballet at Swansea School of Dance where she has been offered a full scholarship to continue her training in Ballet as well as Jazz, Modern, Lyrical and Tap and is also a company member. Her passion for dance lead her into other dance forms such as Latin and Afro Dance. Joy takes classes at The Underground Dance Centre and any workshop run by The Black Stars Company a Toronto based Afro Dance Company. She is a member of the Toronto Raptors official youth dance team Lil’ Ballas and a member of Future Shock Toronto, a part of the Culture Shock Organization. Culture Shock is a non-profit hip-hop organization which aims to empower youth through hip-hop dance and culture. Joy has been fortunate enough to have the opportunity to explore and combine her love for dance and drama with The Ismailova Theatre of Dance. She started out as an apprentice and now as a professional cast member. Joy can be seen in the theatre’s summer productions. Joy aspires to be a professional dancer, choreographer, and actress and is excited to share her passion for dance and drama with the world. When not dancing Joy is enjoying playing soccer, reading or baking.